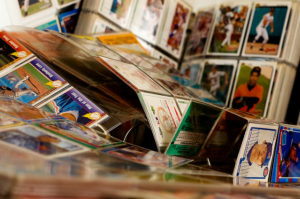 A 19 year old Utah teen was arrested for receiving stolen property after accompanying a friend to sell thousands of dollars of stolen sports memorabilia. An avid sports memorabilia collector in West Jordan, Utah called police in late July claiming his trailer loaded with $150,000 worth of sports memorabilia had been stolen. A week later, the trailer was found burned, but empty. Investigators began to follow leads on the missing memorabilia, eventually posing as a buyer and arranging a meeting with a suspect who claimed to have the stolen goods. During that meeting two individuals were arrested – 33 year old Michael Brandon Morris and 19 year old Mariah Christine Smith. During questioning Morris claimed another man had given him the sports memorabilia. Knowing the items were stolen, Morris did not alert authorities but instead priced the items and listed them for sale. Reports do not indicate whether or not his 19 year old accomplice was directly involved but it is possible she knew the items were obtained illegally. Both are facing charges for receiving stolen property. Utah Code 76-7-408 states, “A person commits theft if he receives, retains, or disposes of the property of another knowing that it has been stolen, or believing that it probably has been stolen, or who conceals, sells, withholds or aids in concealing, selling, or withholding the property from the owner, knowing the property to be stolen, intending to deprive the owner of it.” Punishment for receiving stolen property or being an accomplice in said crime can vary from class B misdemeanor to a second degree felony depending on the value of the property. Any teens who may suspect someone they have been helping is dealing in stolen property are encouraged to alert law enforcement and seek legal counsel from a juvenile defense attorney.